That's the Omar-Ali-Saifuddin-Mosque in Brunei's captial Bandar Seri Begawan. 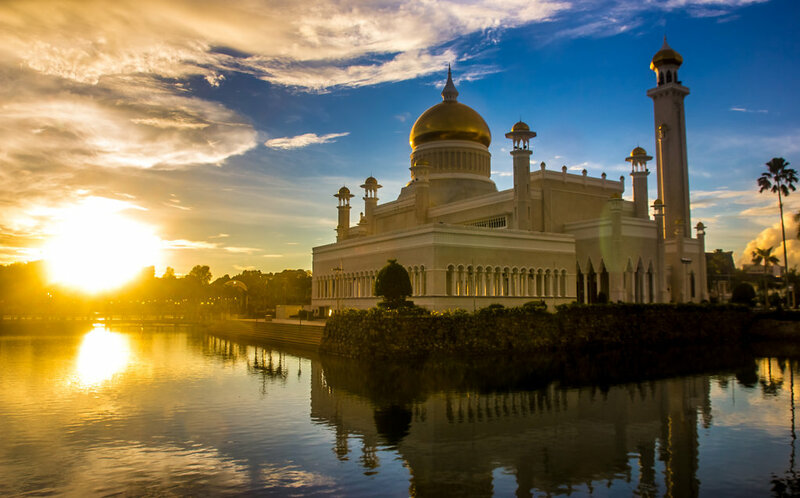 Brunei is a small rich country surrounded by Malaysia on Borneo. Everything is a bit different there: No income taxes, no alcohol, fuel costs only $0.3 / litre and everything closes at 7pm. Everthing except the one KFC.